Mahdi Bazri – There is a simple three step solution to overcome any failure; try again, try harder, and try smarter. 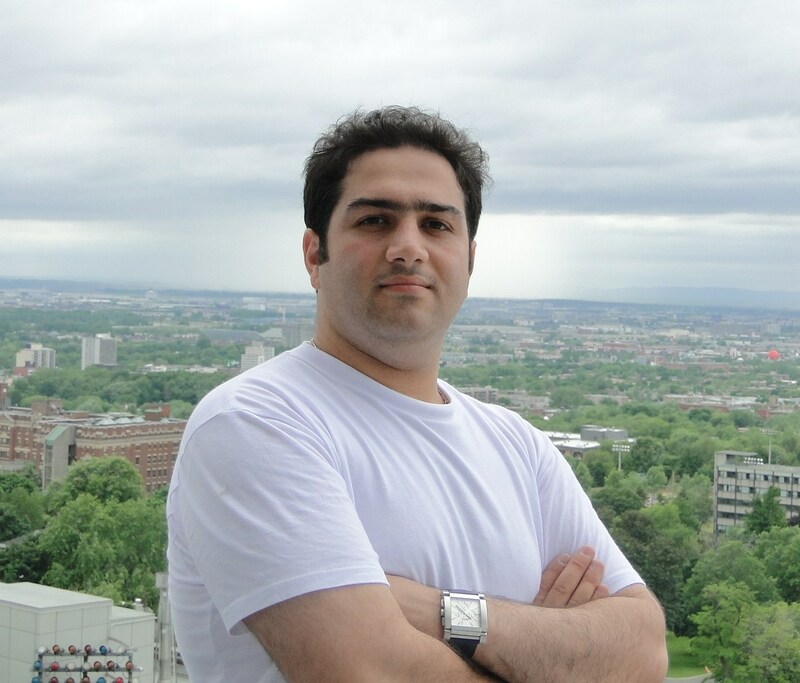 My name is Mahdi Bazri and I received my Ph.D. (2016) and M.A.Sc. (2010) in Chemical and Biological Engineering from the University of British Columbia, Vancouver, Canada. I was very fortunate to spend my graduate studies in the Advanced Oxidation Processes Laboratory in the Chemical and Biological Engineering department at the University of British Columbia, Vancouver, Canada. Our research group was focused on developing and customizing advanced treatment technologies to provide safe and affordable water for small and rural communities across Canada. We were part of RES’EAU WaterNET a network consisted of 6 universities and over 40 industrial partners across the country which was led by Professor Madjid Mohseni (my supervisor at UBC). I was a researcher in RES’EAU WaterNET program from its launch in 2009 till 2016. During those years I worked on several conventional and advanced water treatment technologies including suspended ion exchange processes, UV-based advanced oxidation process, ozonation, activated carbon filtration, membrane filtration, Vacuum-UV process, chlorination, biological filtration, coagulation, and sand filtration. Beside the rewarding technical knowledge and skills obtained through RES’EAU, I also was in touch with sociologists and economists who are part of RES’EAU network to evaluate the technical knowledge with the perspective of the main receptors e.g. First Nation communities. I hold a diploma in science (Math, Physics, and Chemistry) and a B.Sc. in chemical and petroleum engineering. In fact I describe myself a process engineer with strong background in Chemistry. As a person with engineering discipline I always try to distinguish myself and my work with Cordial commitment and dedication, Unbound curiosity, Hard-working, and Preciseness. . This has enormously helped me to integrate my technical skills and knowledge as a process engineer with my micro-level understanding of chemical reactions/processes.